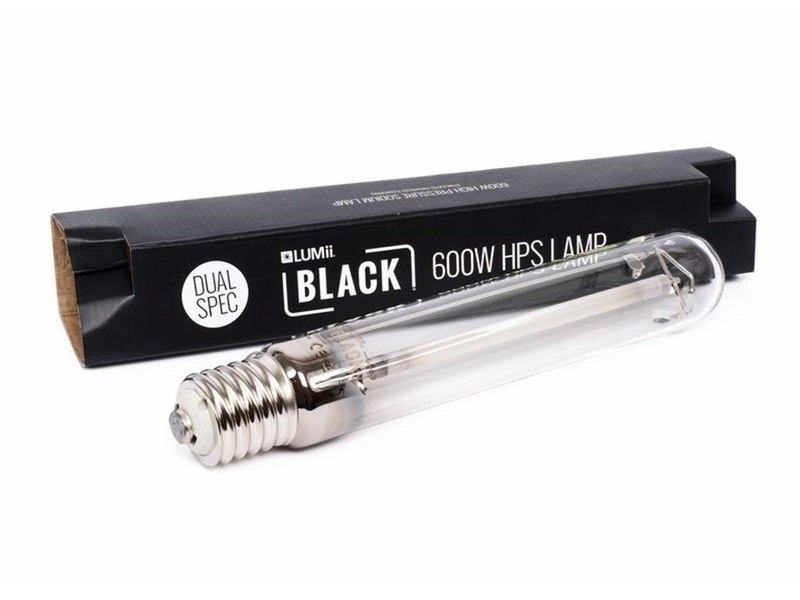 The Lumii 600w Dual Spectrum Bulb 'Super Lumen' offers broad spectrums of powerful lighting successfully achieved by tweaking the PAR range so these bulbs are suitable for plants from start to finish. 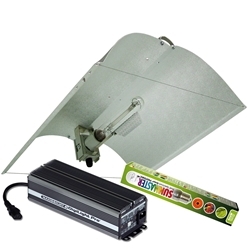 Lumii lamps are ideal for both flowers and vegetables as they have added UV for ripening and hardening. 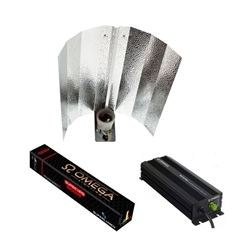 These lamps are ideal for stimulating and enhancing flowering. Each bulb offers 88,000 Luminous flux (lm), 2000 Colour temp (k) and 24000 Lifetime. These are reliable and long lasting bulbs, for optimum performance we recommend to use them alongside the Lumii black ballast.  All Lumii lighting bulbs carry the CE Mark, E40 fitting and have a minimum of one year's guarantee. 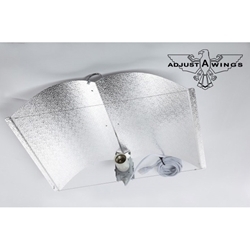 This lighting system is comprised of the Adjust-a-wing Avenger reflector which is proven to improve light and heat distribution. 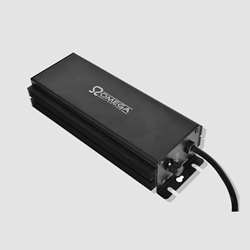 Omega Black Electronic ballast is a digital dimmable ballast with four power mode settings allowing the power output to range from 250watts to over 600watts.